Even if you've played previous FromSoftware games, you'll still be taken aback by the amount of new and challenging things to undertake in Sekiro: Shadows Die Twice. In our Sekiro tips page, we'll be providing you with a full list of all the essential tips and tricks that all players should know when they're just starting out the game. In the list below, we'll firstly provide you with all the Sekiro tips that you absolutely need to know. These tips contain information on how to use stealth, how to parry, knowing your enemy, and much more. 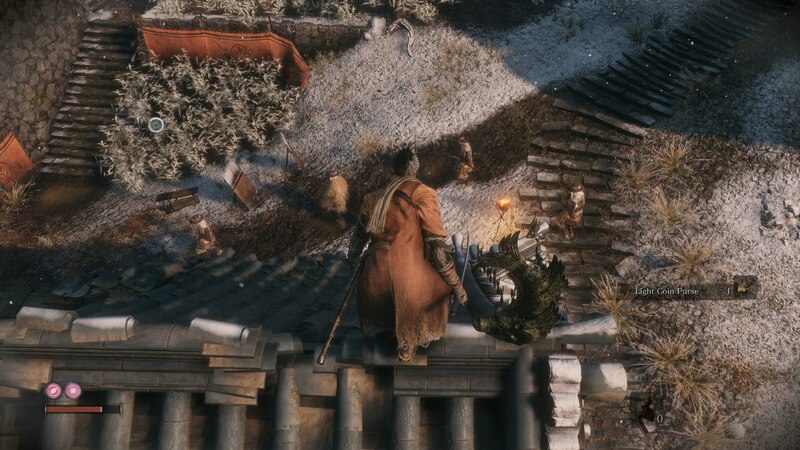 Don't forget about the stealth system of Sekiro! It's essential that you stick to the shadows and move around without being seen. Although FromSoftware has really gone to great lengths with the hit box for Wolf, the protagonist, you'll still be sometimes clipped by attacks that you thought would've missed you. Although there's a dedicated jump button in Sekiro, don't think that you can spam it as a replacement to the dodge mechanic. Sekiro is all about parrying. The key to absolutely mastering this game is to know everything there is about deflecting multiple attacks in succession. Shadows Die Twice actually has a pause button! No longer will you have to hide while you take a toilet break, as you can finally pause the game. The game doesn't actually tell you this until later on, but you'll need to hold down X/Square after a battle to collect coins and other items from fallen enemies. Most bosses in Sekiro are actually optional. It's really easy to run straight past a boss that you're struggling with, and return to them later when you're up for the challenge. Now in the rest of this guide, we'll be expanding on the points that we made above, in greater detail. If you need tips on any areas of Sekiro, then we've got them right here for you. There's Actually a Pause Button! Is Sekiro Similar to Dark Souls? Is Sekiro Similar to Bloodborne? But first, Shadows Die Twice might be a game shrouded in mystery, but it tells the most straightforward story out of all the recent From Software games. For a complete, spoiler-free overview of all the characters you need to know at the beginning of the game, head over to our Sekiro characters guide. Based on From Software's recent games, it's really easy to assume that Sekiro is orientated towards open combat. But there's actually a full stealth system at work in Shadows Die Twice, where you can hide yourself in long grass, hug a wall to ambush someone coming around the corner, and even kill enemies from stealth in one hit. Basically, always take the stealth approach in Sekiro when possible. You'll want to thin out the crowd in an area before going in for open combat, because fighting multiple opponents at once in Sekiro is really damn hard. For more info on hiding in the shadows, check out our complete Sekiro stealth guide. Because The Wolf is a lot smaller than the majority of enemies in Sekiro: Shadows Die Twice, you might think that he can deftly avoid incoming attacks. But you always need to put a good few feet between you and your attacker when the hits start flying. It's really easy to assume an attack from a larger enemy is going to miss you, only to have Wolf caught by the attack as a blade flies a few inches from the character model. In other words, always resort to either dodging an attack entirely, or standing your ground and blocking with your sword. It's best not to leave things up to chance in Sekiro. Sekiro is the only game that riffs on the old Dark Souls formula which features a dedicated jump button. You can make Wolf hop up and down on the spot by simply tapping X/A, and it's really easy to resort to hopping around your opponent in the air, instead of sidestepping their attacks on the ground. It might look fancier, but jumping isn't an alternative to dodging in Sekiro. There are going to be many, many times when you're caught by the trailing sword of an attacker while vaulting over them through the air. Parrying comes first in Sekiro, then blocking, then jumping. Yes, there is a parrying mechanic in Sekiro: Shadows Die Twice, but it's known as 'Deflecting.' Deflecting the attack of your opponent, and then following up with a quick attack doesn't actually always guarantee damage to their health, but it will deal massive amounts of damage to their stun meter. The stun meter of your enemies is critical in Sekiro, because it's through this that you're going to take down the vast majority of bosses in the game. 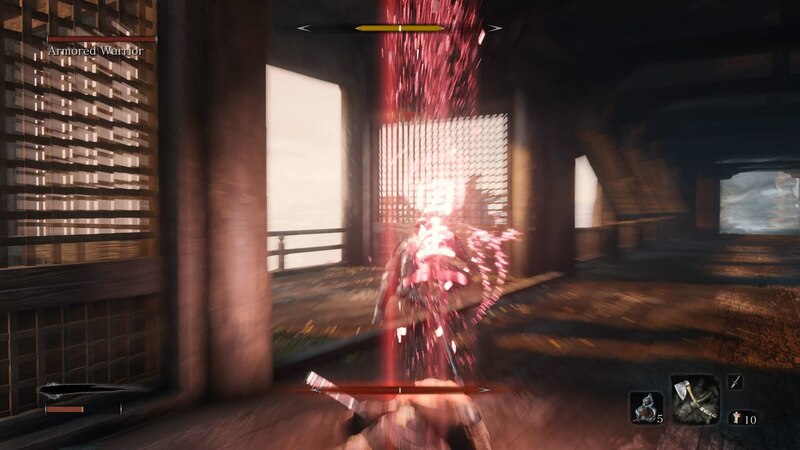 For a more detailed breakdown on how to properly deflect attacks, check out our Sekiro parrying guide. 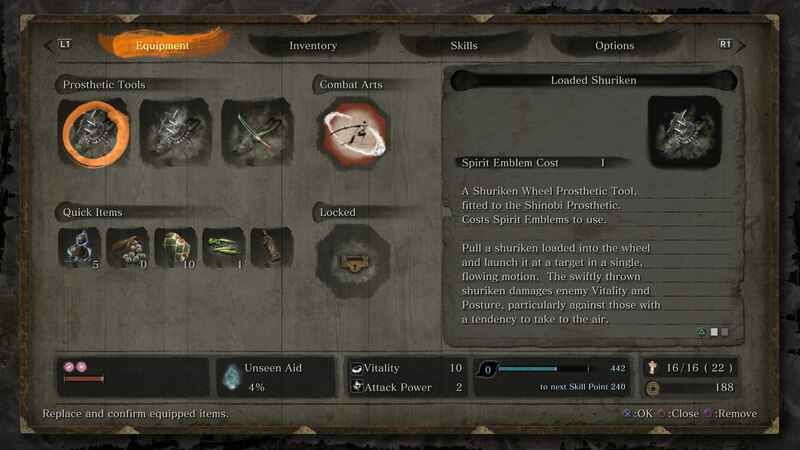 Because of how the stun gauge works in Sekiro, it can be really easy to forget about your own stamina, and go all out on raising the stun meter of your enemy. But, laying into an enemy leaves you vulnerable to a quick counterattack. A good rule to keep is never go for more than two successive attacks in a row, no matter which enemy you're up against. It can be really easy for an enemy to turn your own attacks against you, by deflecting your strikes to raise your stun meter. The gods at From Software have finally granted us with a pause button. Praise be! While you're in the inventory menu of Sekiro: Shadows Die Twice, the game is automatically paused, so you don't need to worry about an enemy sneaking up behind you and taking you out while you're surveying your skills and items. In Sekiro, there's no dedicated button to loot an individual enemy corpse. Instead, you can hold down X/Square at any point in the game, to attract nearby items straight to the pockets of Wolf. It's really easy to forget about this, but always hold down X/Square straight after a fight. You never know what items or coins you might have missed, lying somewhere nearby on the ground. 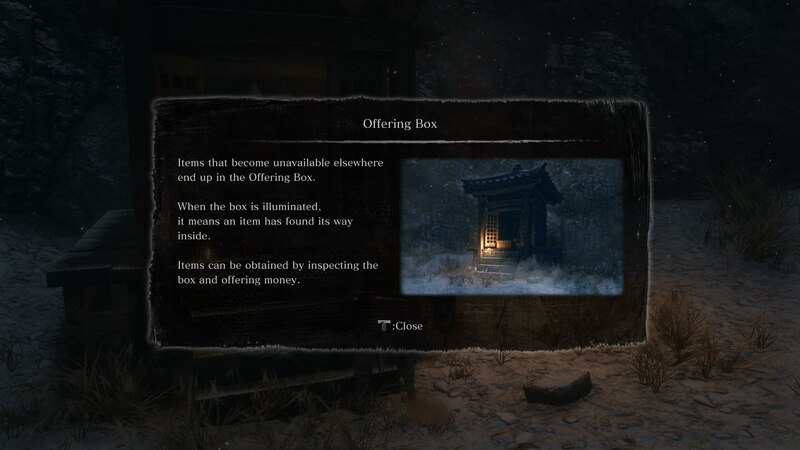 Back in the Dilapidated Temple area of Sekiro, which generally acts as a hub area for the game, there's an offering box near the Immortal Warrior. Make sure to periodically check this box from time to time, because entirely random items can sometimes make their way into the box. When you're fighting an enemy in Sekiro, you'll sometimes see a red kanji flash up near Wolf. You need to be on the lookout for this symbol and react accordingly, because your opponent is about to unleash an attack that can't be blocked or parried. In other words, prepare to dodge or jump as soon as you see this symbol. Sekiro doesn't actually explain this at the beginning of the game, but Posture and health are linked. As your health decreases, you'll find that you take more Posture damage even on successful blocks, and that your Posture meter recharges at a slower rate when your health is low. But this also goes for bosses. 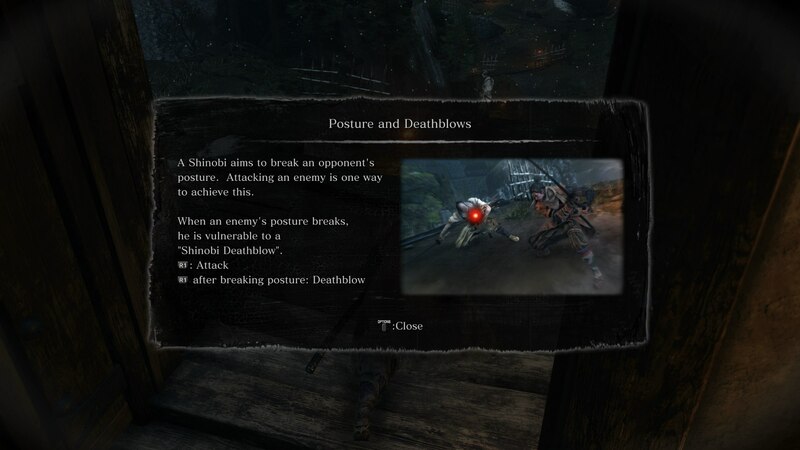 If you can chip away at the health of a boss in Shadows Die Twice, you'll find that you'll deal significantly more Posture damage to them on a perfect deflection. On top of this, their Posture meter will also recharge far slower if their health is at one quarter than if it was at three quarters, for example. The vast number of bosses in Sekiro: Shadows Die Twice are not only optional, but they can also be easily skirted and saved till another day. You're going to run into a lot of bosses while you're wandering the ruins of Japan, and you'll find various bosses in their own small arenas, that you can just run straight through if you're not in the mood for a fight. It's really hard to determine the length of a game like Sekiro: Shadows Die Twice, because everyone's going to complete the game at their own pace. But, based on our own experience with Sekiro, and information we've read in various reviews, it sounds like Sekiro will take the majority of players right around 40 hours to complete. In the list below, we've rounded up every single one of our Sekiro: Shadows Die Twice guides. There are guides on how to beat bosses (no story spoilers in the headlines), as well as guides on the Shinobi Prosthetic, parrying enemy attacks, and much more. But if you've already reached the end of Sekiro: Shadows Die Twice, then we've got just the content for you. Over on our Sekiro spoiler FAQ page, we'll be going over every ending for the game, detailing the fates of every major character, and much more. The simple answer to this question is not at all. If you look at combat in both games, Dark Souls has the parry and dodge mechanic, while Sekiro introduces a dedicated jump button on top of this. Sekiro is like a step in a different direction from the established formula in Dark Souls, moving even further away from the original formula than Bloodborne did from Dark Souls. Sekiro: Shadows Die Twice has a lot more in common with Bloodborne than it does Dark Souls. The nature of the combat is far quicker in Sekiro than in Dark Souls, much like how Bloodborne was originally talked about as a sped up version of Dark Souls. It's interesting to look back at healing items in all three games. You move a little bit while using healing items in Bloodborne, but you can't move it all while you're drinking the Estus Flask in Dark Souls. Comparatively, you can move a little bit while using the Healing Gourd in Sekiro, which makes its method of healing more similar to Bloodborne than Dark Souls.